Late Friday night/early Saturday morning, I published an article titled Irenaeus vs. The Annihilationists in which I demonstrate from primarily the most up to date Irenaen scholarship that the bishop of Lyons was not an annihilationist. 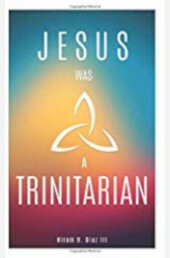 And, what is more, I demonstrate that it was his Gnostic opponents who actually embraced a form of annihilationism much like that of contemporary annihilationists. 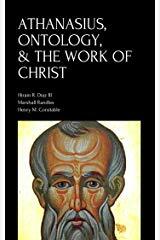 The paper was difficult to write, because Irenaeus’ theology is very complex and yet, paradoxically, very simple. Here’s what I mean. While Irenaeus talks about life and death, immortality and mortality, existence and non-existence, these concepts are inextricably layered, making it hard to articulate those layers without mangling his theology. Just take the idea of life, for instance. Irenaeus sets life and death in opposition to one another, as Scripture does, but what he means is that Christian life (in which the believer eternally receives grace from God and the knowledge of God, so as to grow more and more in his likeness) stands in contradiction to the non-Christian life (in which the unbeliever remains eternally in darkness, without the special grace given only to those who trust in Christ, without any sight of God as Father and giver of grace). The more research one does on the church fathers of great importance, the more one sees that their theology is much more complex than heretics would like to make it seem. Irenaeus is often claimed not merely by annihilationists but also unitarians of every stripe, and even universalists. But he does not agree with any of them on those doctrinal matters. Regarding annihilationism, for instance, the historical truth of the matter is it was the Gnostics who believed in a form of annihilationism very much like that of the contemporary proponents of annihilationism. Just as contemporary annihilationists believe that Matthew 10:28 teaches the body and the soul of the unbeliever will be annihilated in the fires of final punishment, so too did the Gnostics. The annihilationists believe that those who do not believe the Gospel will not have ontological immortality in any sense, and this is also what the Gnostics explicitly taught – those who lack the spirit/nous/divine spark, i.e. who are merely body and soul, will not have ontological immortality of any kind. Ironically, it was Irenaeus who taught that because God’s creation is good he will not annihilate it. Rather than seeing any aspect of God’s creation being annihilated, Irenaeus taught that all of creation would be transformed to a higher reality. Life with Christ would be transformed to a higher plane, and so would life outside of Christ. In opposition to the Gnostic heretics, Irenaeus affirmed that God would sustain his creatures forever – even those who will refuse him in this life and, thereby, cut themselves off from his grace for all of eternity. 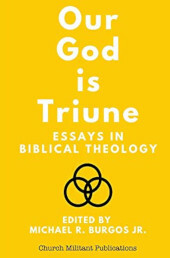 If you’re interested in knowing more, please check out the paper at Biblicaltrinitarian.com. 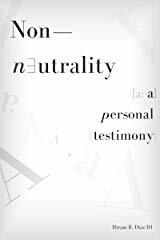 And consider supporting my further research and apologetics endeavors by purchasing a copy of one my books from Amazon.com. 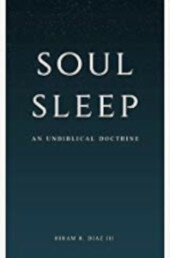 Specifically, my books Soul Sleep: An Unbiblical Doctrine (which has been endorsed by apologist Phil Fernandes, as well as scholar Dr. Jeremiah Mutie, among others) and Athanasius, Ontology, and the Work of Christ. If the Lord wills, my article on Irenaeus will be extended to be a book as well, seeing as my research has brought me into contact with earlier annihilationists who explicitly taught that Irenaeus was a so-called traditionalist.